With the opening of Seymour Green's Putney office we are delighted to say that we have a number of unique, 'must see' properties locally available for sale and rent. The first 'featured property' has sparked a lot of media interest and we have successfully placed features of the unique house in The Times Newspaper and in the on line Guardian. 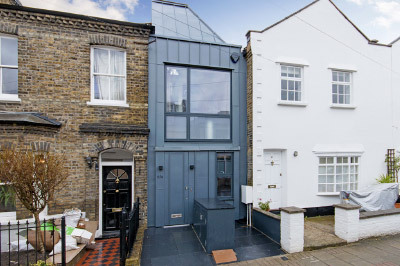 So why is this house so striking and of interest? It is nestled between two period properties and is a stunning architect designed contemporary house, utilising every last inch of space and using high quality fixtures and fittings throughout including solid oak floors, German kitchen units and appliances, under floor heating and stylish sanitary ware. The accommodation briefly comprises on the ground floor, a bedroom suite with extensive built in wardrobes, open plan shower room and separate cloakroom, whilst on the first floor is the open plan living room and stunning kitchen, on the top floor can be found the study and door to the balcony and "seeded flat roof". The space was previously a garage and has now been replaced by this 'micro mansion' which are a common property found in the United Stated and Japan. 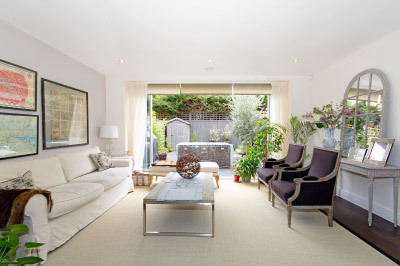 The second hot property is a four-bed house for sale priced at £1,050,000 freehold and is only two years old. The interior has been decorated to a high standard combining clean whites with darker natural materials including wood, metal and granite. On the ground floor there is a superb 34ft living room with under floor heating and bi-fold doors opening onto the garden. There is a stylish open-plan high specification kitchen that benefits from integral Siemens appliances and granite work tops, guest cloakroom and utility room. 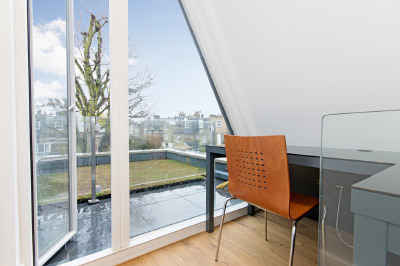 On the first floor there is an additional south facing reception room. The master bedroom suite has tailor-made fitted wardrobes and a full ensuite bathroom. The top floor has the guest bedroom suite with fitted wardrobes and ensuite shower room, plus two further bedrooms and a family bathroom. 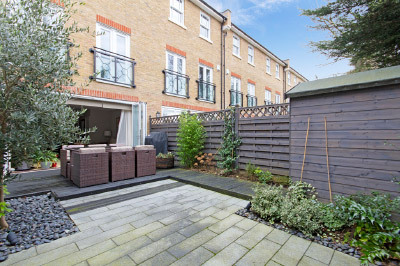 The wonderful accommodation is perfectly complimented by the 26ft south facing landscaped rear garden. The property has made the most of using white and pale cream to add light and space, and then adding darker accent colours to give the rooms a depth and focus. The kitchen in particular combines clean, sleek lines with the softer rounded edges of a giant clock, ornate metal wine rack and zebra print stools. The master bedroom brings a sense of the outdoors to the inside with pale wood furniture offset with dusty sky blue fabrics. Bedroom three has been used as a nursery with stylised owls in trees wallpaper and plenty of floor space for playing. The property is centrally located with good transport links and access to Richmond Park and benefits from off street parking to the front of the house.